The ability to efficiently convert heat into usable energy using thermophotovoltaics (TPV) has been a topic of research for many years. 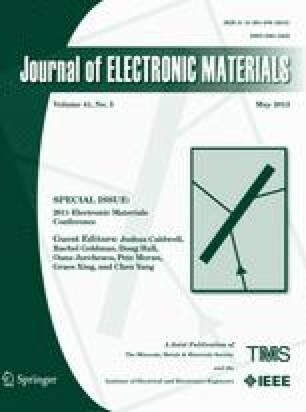 Due to recent microfabrication advances, TPV and photonic crystals (PhC) have been the subject of renewed interest, especially as spectral emitters in TPV applications. However, PhC surface enhancements have also been shown to increase the efficiency of photon-to-current conversion for infrared photodetectors. Here, we investigate the potential efficiency enhancements gained by using PhC for a front-side TPV diode stage surface feature. A back reflecting plane was also added to increase the efficiency of TPV cells by introducing a resonant cavity. The simulations suggest an increased interaction time between photons and excitons leading to an increase in carrier generation. A simulated two-dimensional (2D) PhC consisting of Si3N4 rods in an ohmic contact material has demonstrated a possible 81% increase in absorption for a GaSb TPV cell. C. Shemelya and T. Vandervelde, MRS Proceedings 1208 (2010). doi: 10.1557/PROC-1208-O16-06.